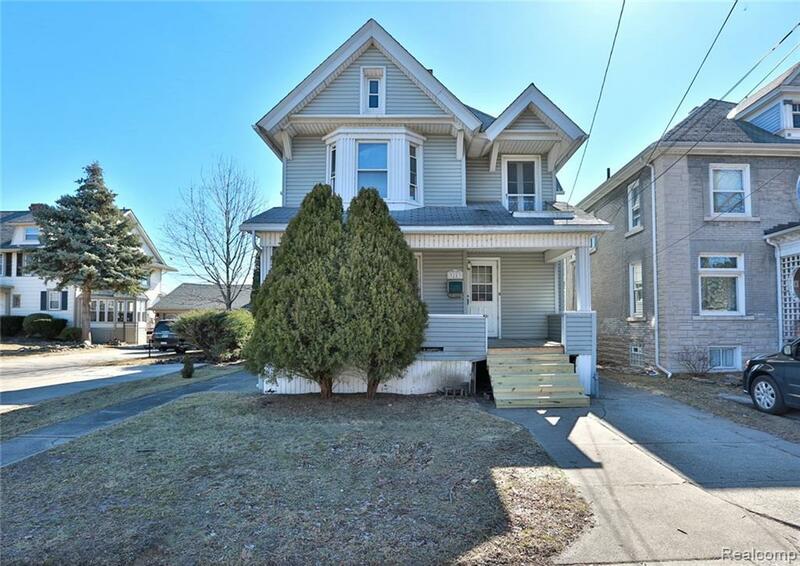 Extraordinary and rare opportunity in Downtown Wyandotte! Historic home on the Detroit River with endless gorgeous Detroit River views! 38ft of water frontage and sea wall. Enjoy the fantastic views from the Living room and/or upstairs Balcony! Home offers Open Concept, 3 bedrooms, large Master bedroom (easily converted into a master suite) and original hardwood flooring, Fireplace in the spacious Dining room and 1.1 baths. Full (stand up) unfinished attic, unfinished basement, Nice covered front porch and a 2nd wrap-around balcony in the front. New front and back wooden steps. Short walk to Bishop Park, restaurants, bars and shops. Property being sold "As-Is" buyer to assume city repairs.